A few weeks ago, @evleaks popped out another very real-looking image of a handset nobody had ever seen before. This time it was an odd, red Nokia phone. According to the Verge, it's not just any old Lumia Windows Phone: It's Nokia's long-rumored entry to the Android market. Say wah? The Verge's Tom Warren cites several unnamed sources who claim that the handset above is what's being called internally "Project Normandy." (GET IT? They're storming the beaches of Google's mobile OS?!) The report claims that the phone will run Android apps—but not in the way that you'd expect. Like Amazon's Kindle Fire devices, it's Normandy will supposedly run a forked version of Android that won't parlay directly with Google Play. That would be very sad indeed. The other bit that makes us sad? 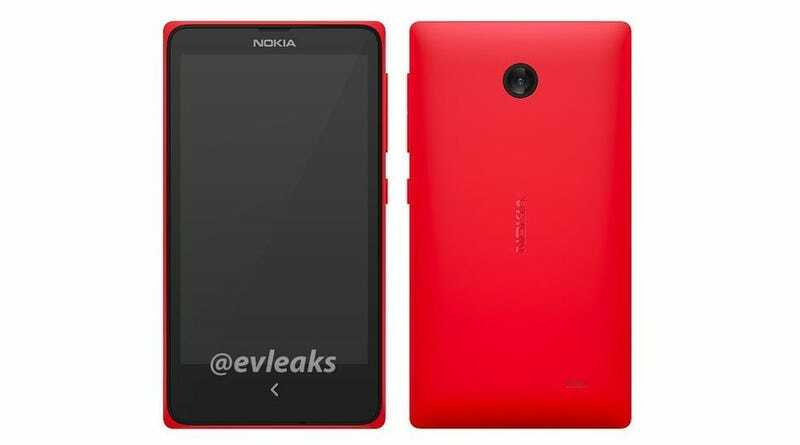 Warren claims that the phone will be a cheap, Asha-level Nokia phone. So for the real nerds who've been waiting a long time for Nokia's delicious flagship hardware to get a real operating system—keep waiting.